Will Karl Deisseroth and company bring "clarity" to uncovering the etiology of autism? I was interested to read a piece in today's L.A. times about a Stanford University scientist named Karl Deisseroth who has developed a new technique to see better inside human brains. Neurons (brain cells) have a covering over the part called the axon which is a myelin sheath or white matter which helps transport electrical impulses down them so that they can communicate with other neurons. The myelin sheath is made of fatty materials which cause postmortem brains to be opaque so that certain details cannot be seen. The Stanford scientists developed a technique where they replaced the fatty myelin tissue with substances that included acrylamide, bisacrylamide and formaldehyde. These don't interfere with light diffraction the way the fatty tissue of myelin does, enabling various parts of a postmortem brain to be viewed that couldn't be otherwise. The researchers call this technique CLARITY (Clear Lipid-exchanged Anatomically Rigid Imaging/immunostaining compatible Tissue hYdrogel). They initially studied mouse brains. One of the first human brains they studied belonged to an autistic individual. They found a neuron that apparently looped back onto itself rather than communicating with adjoining cells. Also neurons in the frontal lobe of this individual revealing "ladder-like" patterns in the neurons. They stated this was similar to a finding in Down's syndrome. This is in spite of the fact that in my reading of some stuff by Dr. Manuel Casanova, Down's syndrome brains are much smaller than normal and autistic brains are initially larger, undergoing an abnormal period of growth during a child's initial development and then tapering off. I don't have the times article online handy, but another articlesummarizes this research well. Dr. Deisseroth seemed to think it was not unquestionable that this finding could be key in understanding the etiology of autism, though I'm skeptical myself. Prior to this, brains were sliced into small millimeter segments. It was difficult to see how various cells or circuits connected to each other. Also, the tissue could not be used for subsequent experiments. This new technique may help resolve these problems. I'd also be interested in knowing what glial cell abnormalities they might find in autistic individuals since scientists have begun to recognize the importance of glia. Previously, they were just thought to provide supporting functions to neurons. Here's hoping that this technique will help revolutionize our understanding of the etiology of autism so that we know what causes it and make it more likely a cure will be found at some point in time. I've just read an interesting piece by Dr. Thomas Armstrong, a former special education teacher and now, I believe a clinical psychologist, endorsing the neurodiversity model as a solution to the problems of special education students. Dr. Armstrong a couple years ago or so, wrote a book about neurodiversity. I've written a take on Dr. Armstrong's book in a previous post. Journalist Steve Silberman, whom I'm now following on twitter, was nice enough to give this article a shout out. Mr. Silberman, for the past few years, has been writing another book about neurodiversity which I'm waiting to read with bated breath. Originally publication was slated for 2013, but I guess Silberman wants to take his time to write the book or for some other reason, the publication date has been moved up to 2014 :(. Dr. Armstrong seems to believe that the deficit model of special education does not help students. He takes umbrage at terms like "moron", "learning disability", etc. Though the word moron's meaning has changed in recent years to insult people, at one time it was a classification for persons with severe retardation which was a non-offensive part of nomenclature. He talks of a variety of studies that he intimates would help special ed students such as Baron-Cohen's work with extremely high functioning persons with autism. Yet in the same vein, uses classifications of persons with serious mental retardation. He cites work showing creativity in persons with bipolar disorders as well. Armstrong seems long on superficial general examples but rather short on specific suggestions on how this can help educate special education students or the benefits they can accrue from taking this approach. In his article, he does not cite a single example of a student who has benefited from this approach or how they were benefited. The concept is neurodiversity. The term, which was coined by Australian autism-activist Judy Singer and American journalist Harvey Blume in the late 1990s, suggests that what we've called in the past "disabilities" ought to be described instead as "differences" or "diversities." Proponents of neurodiversity encourage us to apply the same attitudes that we have about biodiversity and cultural diversity to an understanding of how different brains are wired. I must commend Dr. Armstrong for his honesty in telling us what neurodiversity really means, rather than the usual strawman arguments I hear that because I don't like neurodiversity that I'm opposed to human rights for disabled or "differently abled" persons. I tweeted back to Silberman that I doubted that he or Dr. Armstrong had ever spent a day of their lives as special ed students, as opposed to the eight years of my life which I was in private special ed schools in the pre IDEA days. Though I realize Dr. Armstrong at one time was a special ed teacher (rather than a journalist like Silberman), I still question how much he really knows about the perspective of the special ed students. I'm still waiting for Dr. Armstrong to give a specific example of a person who was helped by his approach. He failed to do so in his book. I wrote a pretty extensive comment on his book not long after it was published that I linked to above and the interested reader can check that out. I was disappointed that Dr. Armstrong still fails to do so in this article. Again, I take umbrage to Armstrong's comparison of peta lillys or people from Holland not living at a high altitude and comparing this with the struggles that those of us with disabilities have to go through every day. He unfortunately mentions Ari Ne'eman in his article. Though Ne'eman was not as honest as he was when he denied that he had ever stated that autism was a disability and then tried to cover up his belief when I provided documentation to the contrary on this blog. I also wonder about Silberman's point of view as he told me when I first wrote to him about his planned book that he did not plan to trivialize the devastation that autism causes to some. This would seem evidence to the contrary. I guess I'll just have to be patient until Silberman publishes his book, so I can give my take on autism's gadfly, which I'm still anticipating. Addendum: Silberman has now blocked me on twitter, just for politely disagreeing with him and judging his and Dr. Armstrong's ability to assess the needs of special education students because they themselves were never special ed students. Someone else on twitter called my account there a "troll account". Yet more examples of how much neurodiversity loves to dish it out, but can't even take the most polite criticism. 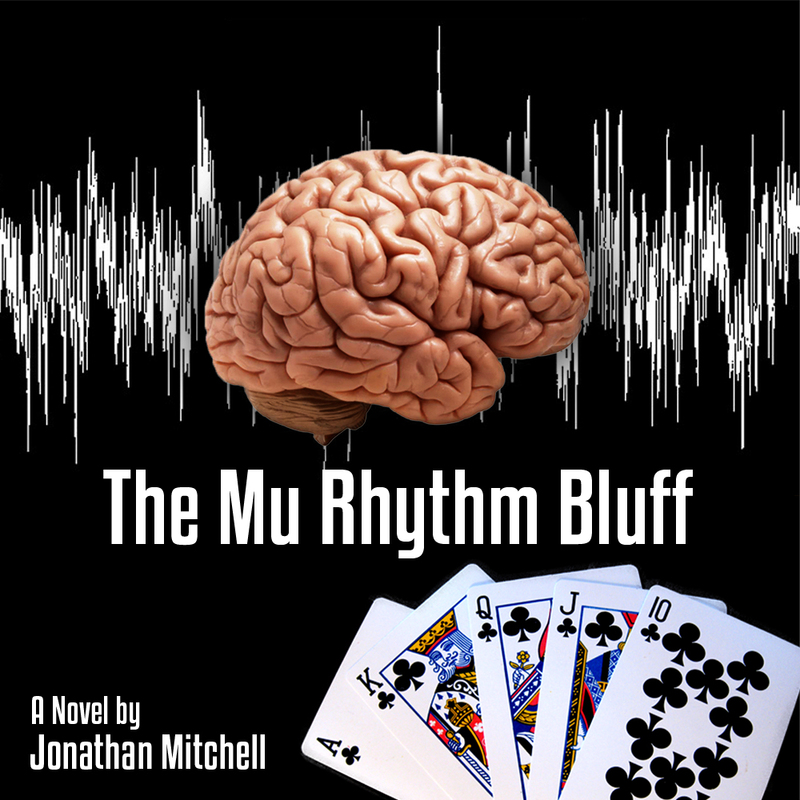 Off and on over the past three or four years, I've been writing (and rewriting) a novel about an autistic poker player. It has a beginning and a middle or an end, so technically I could say it's finished and ready to be self-published. But I'm not sure. This is my second more or less completed novel. My first novel dealt with the autobiographically inspired adventures of a young autistic boy in a special education school and his mother's attempts to garner him the best help and services based on having to go through the rigmarole of getting the best stuff possible included in his IEP and having to go through the ins and outs of the Individuals with Disabilities Education Act. I've flogged that first novel and given up on having it published or self-published, but more on that later. Now that I'm contemplating self-publishing the second novel, I've been looking over the Amazon-owned website, create space, which helps in self-publication for supposedly affordable amounts of money. It was hard for me to understand the ins and outs of their webpage. They charge $65.00 just for helping you format and upload the novel to Kindle Direct Publishing. I was rather stunned when I was told you could just log onto Amazon's self-publishing website and do it yourself for free. A friend from the internet writer's workshop I've participated in said he'd help me do it. I also bought a new kindle recently and have purchased a few ebooks to get used to the idea of maybe having an ebook of my own and the concept in general. Until recently hard copy books worked well for me and I saw no need to purchase a kindle. Changing with the times seemed necessary. I've now downloaded the instructions on how to do it on my kindle, so I might be able to do it myself. If not, hopefully my internet pen pal can assist me and I won't have to cough up $65. Cover art is most likely another necessity in the endeavor. I think create space charges about $365 for that. I have a friend (or friendly acquaintance) who's a professional author and illustrator of children's books. I asked her if she could do it for about two hundred bucks. She said she normally charges $10,000 for cover art, but because I was a friend she'd do it for $200. Then, she apparently was going through a rough patch in her life or was busy with over more lucrative projects, she couldn't do it. It looks like I've found someone else who's a talented artist, and with luck, she'll do it for me for $200. So, if I can get those two items taken care of, perhaps I'll have a self-published novel that anyone who cares to spend a few bucks can download onto their kindle. Then there's the problem with mass marketing and promotion which costs a pretty penny. Create Space seems to provide assistance in this area also, but hardly at a cost which I can afford. Interestingly, I've now been able to get airtime on NPR twice and another NPR show was interested in doing a show on yours truly, but that fell through. More on that later. The first of the two shows dealt with my first novel. There are a lot of published novelists who would love to get on an NPR show and can't, so perhaps I have a good media gimmick to help sell books. But is that really enough or is there more to the story? To date, like just about everything else in my life, my writing career (for want of a better word) has not been propitious. I realize I've written about this on other blog posts, but I see nothing wrong with a recap. I first attempted to write a novel at age 14. Writing a novel would seem to be quite an undertaking for even a typical 14 year old. However, I was autistic and at the time had had essentially no mainstream education, having attended special schools my entire life. At 14, I was mainstreamed in eighth grade (one level below my chronologically-aged peers) and I began writing this novel. My lack of concentration, urge to twiddle (self-stimulate) and inability to be organized prevented me from finishing this project. A few other scattered attempts at novel writing in my teens produced the same result. At 19, I started college and was very busy with that and didn't write for many years. However, the pipe dreams of glory never stopped and I often fantasized about being a commercially successful novelist. In the 1990s, a few years after I first became Eric Courchesne's research subject I decided a nonfiction piece might be easier to write than a whole book, fiction or nonfiction. In those days, his findings of a smaller cerebellar vermis in some persons with autism was getting some media traction. I wrote a nonfiction article about my being a research subject for him which was rejected by a number of magazines. My most avid fans know that I've self published this article on my stories web page. I never dreamed that nearly two decades later it would result in an interview that would be broadcast on NPR. It was not enough, I also wanted to write fiction. At this time, I became friends with a schizophrenic individual who was a prolific writer of short stories. He suggested that instead of a novel, I try my hand at a short story or two as that might be easier than a novel since you don't have to put in the sustained effort that a much longer work would entail. It turned out he was right and I was able to write 16 short stories, most of them inspired by my experiences and angst as an autistic individual. I submitted them to magazines and the inevitable rejections kept pouring in. However, I got some encouragement. Glimmer Train stories, a very prestigious short story magazine wrote on my rejection slip for one story, 'quite a moving piece, enjoyed it'. I still yearned to write a novel and finally in about the year 2000 began "The School of Hard Knocks" which I wrote about above. I took a private writing class and met another member of the class, Tamar Brott, a freelance journalist who had done stories for the NPR shows This American Life and Studio 360. She took an interest in my work. The statement that piqued her the most was my wanting to use my autism as a gimmick in order to get the novel published and a best seller and find a girlfriend. She pitched the idea to Ira Glass and the rest of the This American Life crew and they loved it and were interested in having a story about me broadcast on their NPR show. I hoped that this would result in publication of my novel. At the 11th hour This American Life decided not to run the story because they felt that Tamar had given too much of a negative perspective on it. I started submitting the novel to literary agents. The fourth agent whom I queried with said she was interested in reading the first 100 pages and did not want me to submit to anyone else until she had read them. She wrote me a note saying that although she was interested in the character's story and personally interested in my background as an individual with autism that after having read the sample pages she did not believe she could find a publisher for me, but suggested I might consider hiring a professional writer to help polish it. I took the suggestion and a couple of individuals stated that there was so much wrong with the novel that I would have to write it over from scratch. At this point I had been rejected by eight agents and gave up. After the fiasco with This American Life, Tamar pitched the idea of my novel to the show Studio 360, a smaller NPR show, but a national show dealing with the arts and one who a number of prestigious and published authors have appeared on. I can't help wondering if I'm the only person in history who had one book doctor tell me it was a waste of time to edit my novel and then a month after that read from my novel on a national radio show and was unable to get it published. Even the title was a ghastly cliche and I couldn't think of a better one (I still can't). I submitted it to two more agents and my rejections totaled ten. Discouraged, I turned my efforts to nonfiction and wrote a short book about my take on various things concerning autism. It was sort of a rough effort and I did not bother submitting the book anyplace. I did, however, self-publish one of the book's ten chapters on my website, an essay questioning the posthumous autism diagnoses of Albert Einstein, Thomas Jefferson and Bill Gates. I tried writing another novel but was not able to get very far into it. 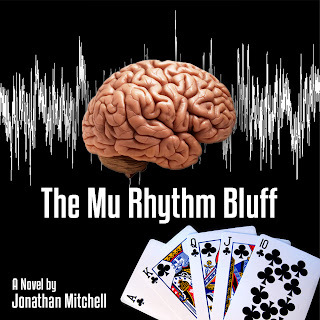 Then the idea of a novel about an autistic poker player came to me. I tried writing this novel off and on, but it took a few years to finish even a first draft. It clearly needed work and I took some writing courses, had one book doctor look over part of it and became a member of the internet writer's workshop for guidance. I got some good help there, but it probably still isn't ready for prime time. I' m not sure I care. I think it's a good story and I want it to be heard so I may take a chance and self publish it. Will this be a mistake? I don't know. Am I committing literary suicide by writing this blog post? I don't know. Will I only sell a few copies on Amazon and look forward to some one star reviews? Another question mark. Will I be able to get the cover art done and either figure out or get help in self publishing it successfully? Even that is a mystery.